KIEV, April 3. /TASS/. The Ukrainian Central Election Commission (CEC) has only 0.12% of the ballots left to count to announce the official results of the first round of the presidential race. Currently, frontrunner Vladimir Zelensky has racked up 30.23% of the votes, while incumbent President Pyotr Poroshenko has almost half of that – 15.95%. The leader the Batkivshchyna (Fatherland) Party, Yulia Timoshenko, trails third with 13.39% of votes, while 11.67% of voters cast their ballots for Yuri Boyko, the candidate from the Opposition Platform – For Life Party. Anatoly Gritsenko of the Civil Position Party finishes fifth with 6.91% of support. According to the CEC’s data, voter turnout stands at 63.52%, while almost 11 million people out of 29.6 million registered voters were not able to vote or did not want to. Accordingly, the Donbass territories were excluded from the voting process as Kiev is not exercising control over them. As a result, different estimates say that 2 mln – 4 mln people, who could have supported opposition candidates, could not take part in the voting. Moreover, Ukrainian laws limit the voting rights of internally displaced people and those without permanent residence, which means that 1 mln – 3 mln Ukrainians did not vote. In addition, the CEC eliminated all voting stations in Russia, which led to another 3 million Ukrainians being cut off from the vote. The second round of the Ukrainian presidential race is scheduled for April 21. Many experts predict that Zelensky will win, however, they also note that the victory won’t be easy. Hey Buddy!, I found this information for you: "Ukrainian elections: Zelensky scores 30.23%, Poroshenko – 15.95% with 99.88% votes counted". 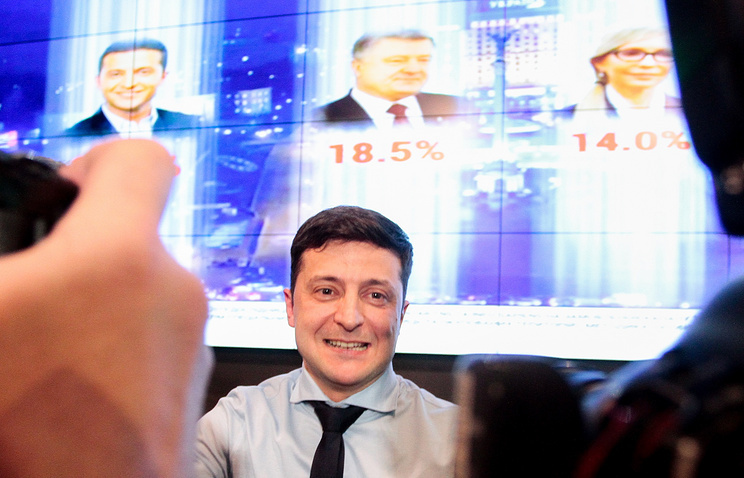 Here is the website link: https://russophile.org/ukrainian-elections-zelensky-scores-30-23-poroshenko-15-95-with-99-88-votes-counted/. Thank you.